Situated close to the fascinating town of Galle, Sisindu Tea Estate is nestled in a serene spot amidst the rolling hills and dense greenery. 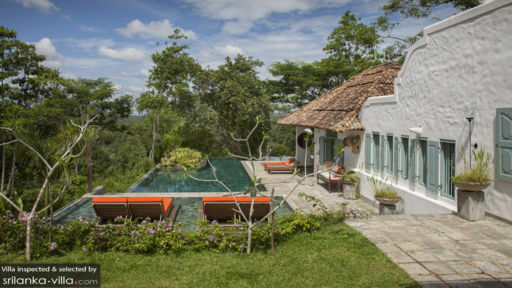 Holidaymakers residing at this dreamy vacation rental enjoy the best of both worlds, for the villa overlooks the sweeping sea on one side, and the emerald jungle on the other. Built to accommodate a large party, Sisindu Tea Estate offers plenty of space for more than twelve guests. Vacation makers will be eager to reside in the grand and luxurious master suite, for it features a commodious living area, a beautiful open air bathroom and two shower areas. The remaining four double bedrooms are close contenders, containing well-appointed interiors and en suite bathrooms. Guests may also stay in the ‘jungle room’, a capacious living area with two double beds, an en suite shower and a massage room. Step into the grounds of Sisindu Tea Estate, and you will find a picture-perfect garden ideal for a lovely picnic. Soak up the sun while you lay against a sun lounger, or submerge yourself into the cooling waters of the swimming pool. Wherever you go, nature lovers will feel their heart sing, for the villa is enveloped by scenic surroundings of lush, tropical greenery. 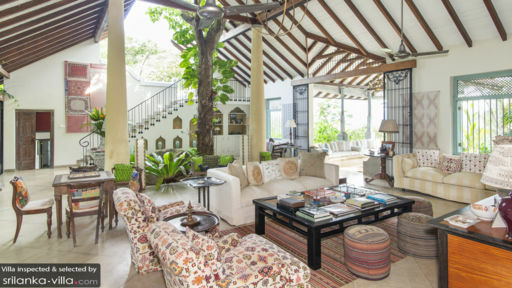 A breezy living and dining area beckons invitingly to vacation makers residing at the villa. The vaulted ceilings create a sense of spaciousness, and a tasteful selection of furniture lends a quaint and rustic vibe. Touches of rosy hues, present in the indoor plants and home ornaments, add a romantic accent to the interiors. In the early hours of the evening, venture to the roof terrace for a round of sundowners. When it is time for a meal, take seat at the spacious dining table, and prepare yourself for a sumptuous spread of Sri Lankan dishes. Sisindu Tea Estate is a full service property with housekeeping service, security service, daily breakfast service and welcome drinks. Amenities available at additional cost include personal chef services (lunch and dinner), airport transfers, vehicle rental, personal driver service, child-minding services and in-villa massages. Occupying a prime location, Sisindu Tea Estate sits within close proximity to a variety of travel attractions. 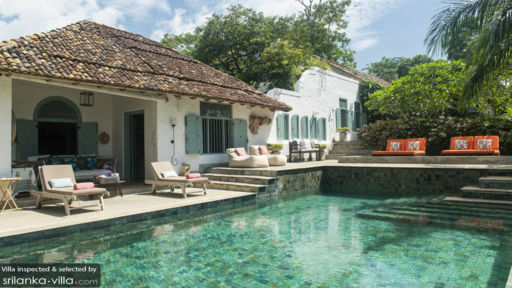 Make a day excursion to explore the intriguing cultural sites within charming Galle Fort, or embark on an exploratory tour of the Handunugoda Tea Estate. Surfing enthusiasts will eagerly make their way to ride the waves at nearby Mirissa, Weligama and Hikkaduwa, while avid divers may venture out to Unawatuna for a thrilling underwater expedition.